Navigate to the information field labeled Privilege Expiration Date. Enter a new date in this box. When you place your cursor in the Patron Expiration Date box, a calendar widget will display to help you easily navigate to the desired date. 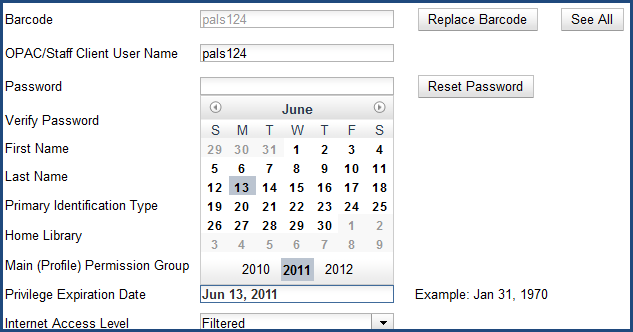 Select the date using the calendar widget or key the date in manually. Click the Save button. 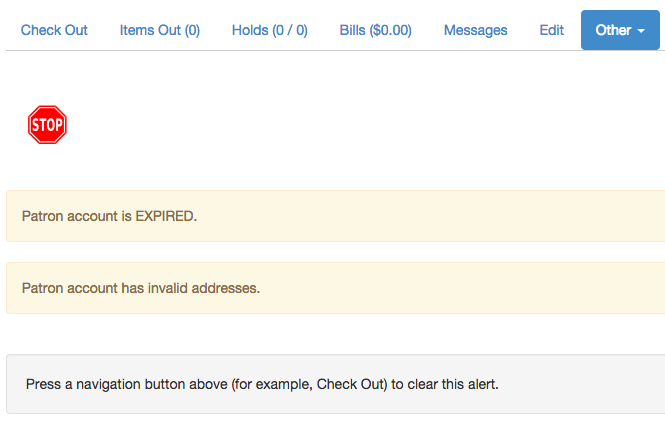 The screen will refresh and the “expired” alerts on the account will be removed.